January, 2015. The first novelty of the year was presented by Canyon – the sports earphones with soft clips and inline microphone. Music and sports make our life better! 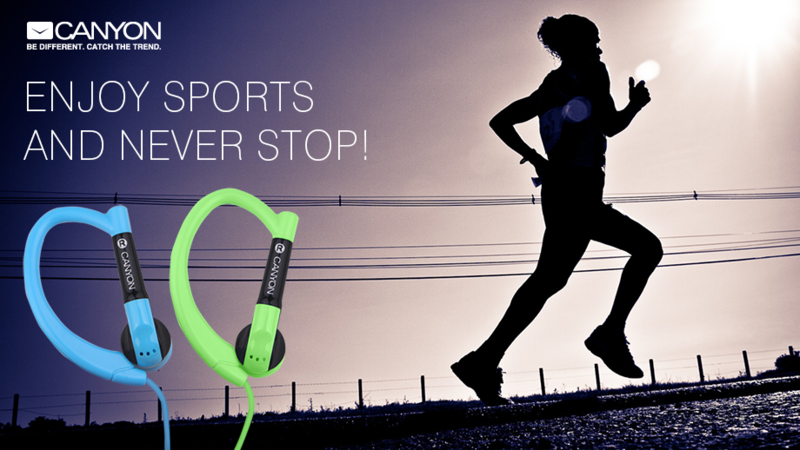 Move on the track while your favourite music takes you to the limits. This model with around-ear fixation clip offers great sound quality and wearing stability at highly competitive price.